Above all else, Pat Burns is a delightful and slightly wild woman whose chronological age (typical baby boomer) doesn't even come close to her experiential age of 180! 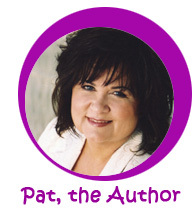 Pat's traveled the world for business, pleasure and singing with a choir (now, she just sings in the shower.) Yes, Pat has seen it all - but she's definitely not ready to say she's done it all. 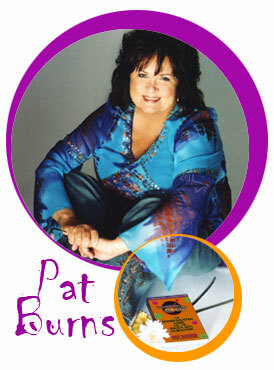 Pat's extensive talents are wrapped up in three projects: Burns International Consulting (BIC), Advance NOW, and along with her partner Barry Ackerman, the hugely successful Orange County Children's Book Festival http://www.kidsbookfestival.com. As cofounder, she serves as the Executive Director. Here's how Pat's experiential age of 180 is calculated. Starting off as a single Mom with two small children, she began her real estate career in sales, and within two years reached the top 10% nation wide. After eight years of ongoing sales success, she was recruited for Century 21 International to serve as the Recruiting Manager for four states and 150 offices. 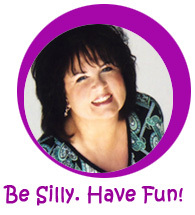 At the same time, Pat moved forward to start her own training and speaking company, Pat Burns Seminars, and became a highly sought-after general session keynote speaker at more than 500 meetings and conventions. Pat has presented keynote addresses and workshops to business groups, associations and corporations throughout North America and Asia. Pat spent three years advancing a multi-billion dollar business, International Trading Corporation, in Saigon and Bangkok. She assisted the team in formation of company structure and operations. This is where Pat developed cross-cultural communications skills and learned the valuable lesson of PATIENCE. Her consulting relationship with this company continues to this day. After completing assignments in Asia (where she lived and worked off and on for nearly three years), Pat was selected to serve as general manager of the Millionaire Summit and partner with best selling authors Mark Victor Hansen and Robert G. Allen. Mark is the co-creator of the phenomenally successful Chicken Soup for the Soul? book series (80 million sold and growing) Bob created the "buy real estate nothing down" industry with his number one New York Times best-selling Nothing Down book and seminar series. The Millionaire Summit is one of the businesses Pat and her partners have created to reach their goal to help raise a billion dollars for charities. Pat's two daughters are now grown and living in Scottsdale, Arizona and Vail, Colorado. 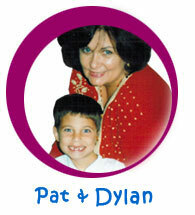 Pat is also the VERY proud grandmother of Skye Elizabeth and Dylan... the cutest kids on the entire planet. Pat's ultimate plan is to experience a 300-year-old lifetime. And she's having a great time creating the second half now! 2004-2007 GrandparentsRock.com. All Rights Reserved.